Pagewaiter, LLC is a design studio helping you meet your goals in the ever-changing world of technology. Jason Mosley founded Pagewaiter in 2001 when he was in college. It started out as a web hosting and design company, but once the hosting market became saturated, he started to focus more on design. Today, Pagewaiter not only creates websites and blogs, we help clients tackle the use of technology to get things done. We can handle content creation, distribution, and social media marketing. We stay on top of the latest tech trends so you don’t have to. We are always looking for new projects and chances to share our knowledge. If you think we are a good fit for you next big idea, contact us via the contact page. Jason Mosley is a new media designer living in the city of Pittsburgh. He has created websites ever since he had a computer and the Internet. Being obsessed about technology, you can often find him reading a tech blog or working his next big idea. When he is not cranking out killer designs, you can always find him updating one of his many web projects. 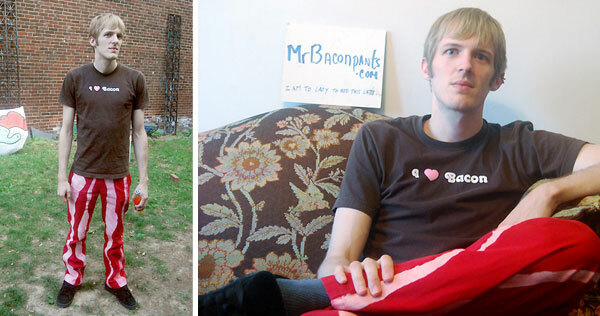 The one that consumes most of his free time is MrBaconpants, a personal blog where he talks about his love for all things bacon. Another web project of his worth mentioning is Startup Pittsburgh, a blog/job board covering the local startup community. He has also done freelance blogging/writing for Crunch Gear, Mobile Crunch, and Touch Arcade.